Smooth and burns gas slowly. 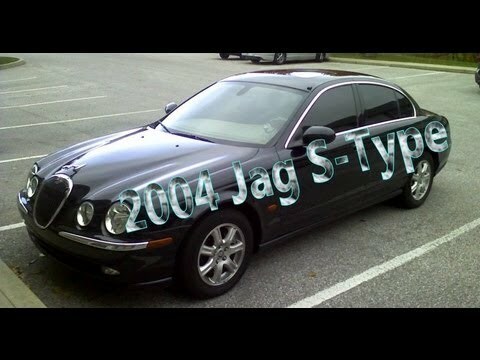 My jaguar s type 2004 is in great shape and only has 50, 900k miles so its life hasn't been that long it's pretty young and drives smoother than a babies bottom, its all black with aluminum wheels and a built in touch screen GPS, hot and cold air works, tinted windows for privacy and etc. nice perfect little car to drive around the city and goes pretty fast, it is a jaguar after all. This has been a great car with no problems over the years. Upon first buying it, i thought maintenance costs would be high, but they have been very reasonable. I love the design and have gotten many compliments on it. Also, it is very comfortable. It is not easy to drive. Hard to turn the wheel. I like that my jaguar is clean, runs good. What I do not like is the steering wheel does not turn right. I also dislike the fact I cannot drive it right now. ON CERTAIN PASSENGER VEHICLES, THE ELECTRONIC PARK BRAKE MODULE, WHICH CONTROLS THE APPLICATION OF THE PARKING BRAKE, MAY UNINTENTIONALLY APPLY THE PARKING BRAKE WITHOUT ANY INDICATION OR WARNING TO THE DRIVER. THIS CONDITION CAN CAUSE THE VEHICLE TO DECELERATE AND MAY CAUSE REAR WHEEL "LOCKUP" AT ANY ROAD SPEED. A CRASH MAY OCCUR. DEALERS WILL REPLACE THE ELECTRONIC PARK BRAKE MODULE WITH THE LATEST PRODUCTION LEVER PARTS. THE RECALL BEGAN ON JANUARY 15, 2005. OWNERS SHOULD CONTACT JAGUAR AT 1-800-452-4827. ON CERTAIN PASSENGER VEHICLES EQUIPPED WITH AUTOMATIC TRANSMISSIONS, WITH THE FORWARD DRIVE GEAR SELECTED AND THE VEHICLE STATIONARY OR IN A FORWARD MOTION, THE GEARBOX COULD POTENTIALLY SELECT REVERSE GEAR, WITHOUT INDICATION. THIS FAILURE COULD RESULT IN A CRASH. DEALERS WILL REPROGRAM THE TRANSMISSION CONTROL MODULE. THE RECALL BEGAN ON MAY 1, 2004. OWNERS SHOULD CONTACT JAGUAR AT 1-201-818-8500.